This story begins with a tweet that I read. … clearly fractions are so difficult that it requires someone with the reputation of Chuck Norris to be able to deal with them effectively. Except, they aren’t. Or maybe they are, but they certainly don’t need to be. The logic that says that 2 min + 31 sec doesn’t equal 33 of anything is perfectly understandable to most. It’s the exact same premise as requiring common denominators to complete a fraction addition problem. And THAT is confounding to many. It seems like an arbitrary rule that math teachers invented to trick students. One of my classmates changed his major that day. He got so angry that it we would be discussing the possibility that a student could write that equation and could be thinking something mathematically accurate. Dude literally stormed out of class and I never saw him again. @hs_math_phys Nope! May describe a situation explicitly (1 of 2 voted in A and 1 of 2 voted in B so 2 out of 4 voted). No silly math here! About the same time I was reading the IES Practice Guide for teaching Fractions. Are you familiar with the IES Practice Guides for mathematics? The Institute for Educational Studies gathers high quality research studies on educational and catalogs them in the What Works Clearinghouse. The Practice Guides are documents that synthesize the multiple research studies that exists on a certain subject and operationalize the findings. Recently, I explored the IES Practice Guide for Fraction Instruction K-8. I’d encourage you to check it out. To summarize, making fractions and conversations about portioning and sharing things a common part of math conversation from the beginning can help take the natural understanding that kids have and build fractions into that context. 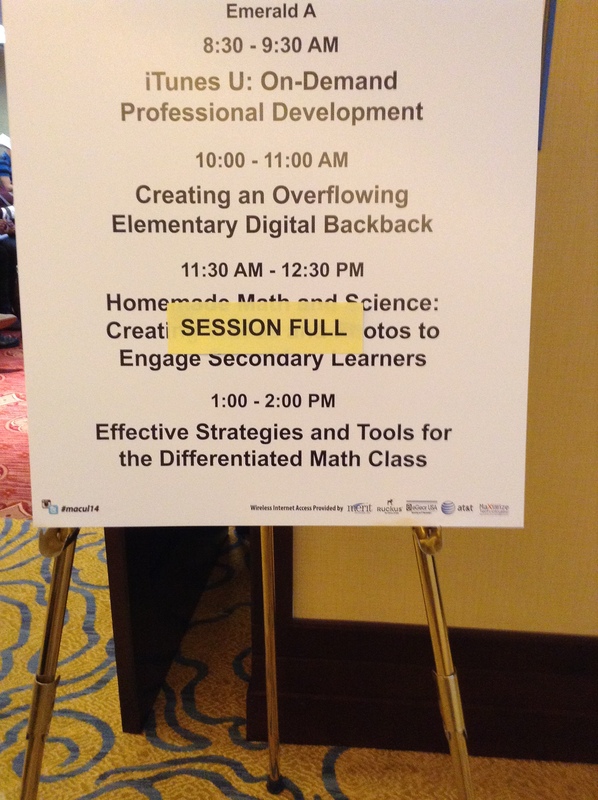 That will give us a chance to use math talk as a tool for students to need more exact language. My preschool son right now uses “half” extremely loosely at the moment. (I’ve drank “half” my water could really mean anything quantitatively.) In order for him to effectively communicate, he’s going to need to develop a more precise definition of “half”. That will require him adding additional fraction vocab to his toolbox. The practice guide provides some tangible steps to achieve this. I’d encourage you to check it out. Lots of steps forward to take in the area of student comfort and effectiveness with fractions. You unrolled your plan to get your device into the hands of students and put it into action. So, here’s my first question. What are your indicators of success? Profit? Devices sold? Number of districts implementing your device? Number of teachers implementing your device? These all seem fairly reasonable. Do you know what almost certainly wouldn’t be one of your indicators of success? The degree to which your device is improving student outcomes. So, let’s bring in an article: Education Week’s Popularity of Ed Tech Not Necessarily Linked To Product’s Impact. In which author Benjamin Herold builds a case that there is a fundamental conflict between the traits of Ed Tech that best sell and the traits of Ed Tech that best impact student achievement. Among the traits that sold best, according to the article, “a promise of cost savings for schools, no requirements for face-to-face training, and an ability to be easily integrated into existing teaching and learning practices.” That is, light on financial commitment, light on PD, and light on classroom disruption. It’s tough to argue with cost, but the latter two start to expose a weakness that are probably contributing directly to why these EdTech innovations aren’t having that much of an impact: They aren’t innovating. If you are integrating devices that don’t require educators to update what they do in the classroom, then don’t expect for any significant changes in learning outcomes. It is easier, more comfortable, and less stressful on people and resources to integrate tools that integrate into existing school systems, traditions and practices. But this is fundamentally problematic in school communities where existing systems, traditions and practices had reached their capacity for student achievement. If the systems are working as well as they are going to work, then a tool that makes the system function better isn’t what’s needed. What’s needed is a new system. And that’s a much tougher sell. And it probably explains why we continue to be somewhat disappointed with the way our technology is faring within our desire to improvement. This is why frameworks like SAMR serve such a valuable purpose. They provide structure and language to the act of transitioning from one educational paradigm to another. This highest level of SAMR doesn’t force a particular type of classroom action or behavior, but simply asks the educator to consider what is possible now that wasn’t possible before the technology was available. And this becomes the ultimate value of the technology and it also explains why we’ve had such a difficult time having our hopes realized. Technology has the potential to fundamentally restructure the way our schools function. And unfortunately, we won’t see the value of some of these tools until we let them do just that.